A puppy should not leave his mother till he is at least 7 weeks old. If the pup is taken away from his mother earlier than that he grows up to be a rather snippy dog. This is because he does not learn the important canine social signal of bite inhibition. Things like bite inhibitions can only be learned by a puppy from his mother and siblings. Ideally a puppy should leave his mother only when he is about 12 weeks old. By this time the "pecking order" of the litter is clearly established. 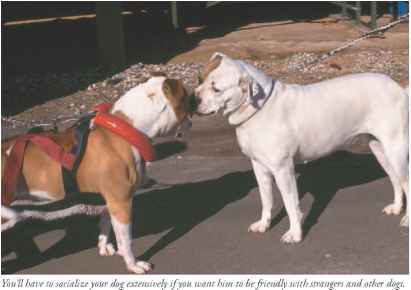 At this age you will be able to recognize whether the puppy is dominant by nature or submissive.